When traveling by bike there are bound to be numerous instances when you will want to get off of your bicycle, go inside a store, take a hike, or simply explore the surrounding area on foot. When such a thing happens, figuring out a way to carry your belongings can be difficult. In the past, I’ve simply carried one of my panniers in my hand. This method of carrying your belongings works, but is far from ideal. I recently reviewed Lone Peak’s BP-500 Briefcase/Pannier and the PD-200 Mount Olympus Pannier/Day Pack. Today I want to talk about one other way to carry your belongings when off of your bicycle and compare and contrast these various methods of hauling your gear. The Lone Peak BP-500 is a briefcase that also acts like a pannier. A zipper on the back of the bag can be quickly rolled up, exposing the hooks and bungee needed to secure the bag to your bicycle rack. The PD-200 Mount Olympus Pannier/Day Pack also works like a pannier, but this bag quickly transforms into a backpack. With one quick zip, two padded shoulder straps are exposed and you’re ready for a hike. The last way you might consider carrying your things is with your handlebar bag. I am currently using Lone Peak’s H-100 Alta Handlebar Bag, which has two loops on the end so that when I get off my bicycle I can attach a shoulder strap and use the bag as a sort of purse when going into a store or making other short trips around town. 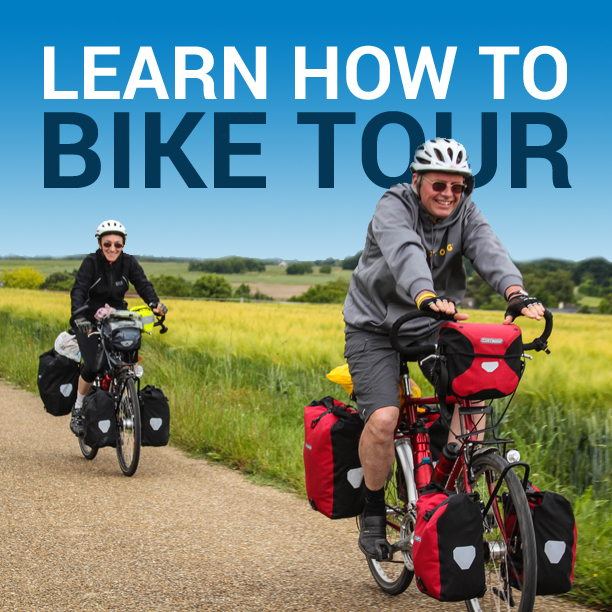 So how do you decide which pack you should use on your bicycle tour? Well, that depends. The next time I go to Europe I am definitely bringing this bag with me. When I went to Prague I spent the whole time on foot. I didn’t want to carry my things around with me in my handlebar bag or in one of my regular panniers, so I actually borrowed a backpack from someone while I was there. If I could do that whole trip over again, I would definitely have taken Lone Peak’s briefcase pannier. I would have blended right in and no one would have even suspected that I was a traveling cyclist. If I were to travel to a place where I planned on doing a lot of day hikes when off of my bicycle, I’d likely take the Mount Olympus Pannier/Day Pack. When covering long distances on foot, I think the backpack is the best way to go. On the other hand, I think that carrying a backpack does look a little touristy, so I’d only carry it on tours where I knew I planned to do some serious hiking (away from the cities). And lastly, if journeying down the Pacific Coast again, I’d probably just use my handlebar bag as my means of carrying my belongings when stepping off of my bicycle. There were very few times when I let my bicycle leave my sight while on this tour and I doubt that this would change if I were to do that ride again in the future. That being said, I would likely bring the Mount Olympus Pannier/Day Pack as well (in addition to the handlebar bag), just in case I did want to use it. As you can see, which bag you take with you on your tour is going to depend on where you plan to travel and how much you want to blend in with the people around you once you get off your bike. If you want to camouflage yourself in the cities, use the briefcase/pannier. If you want to look like a hiker, use the pannier/daypack. And if you don’t plan to get off your bicyle much at all, simply using your handlebar bag is likely all you need. That’s my opinion. What do you think? How would you use each of these products when traveling by bike? Are there certain circumstances when one pack is better than another? What do you think is the ideal way to carry your things when spending time off of your bicycle? 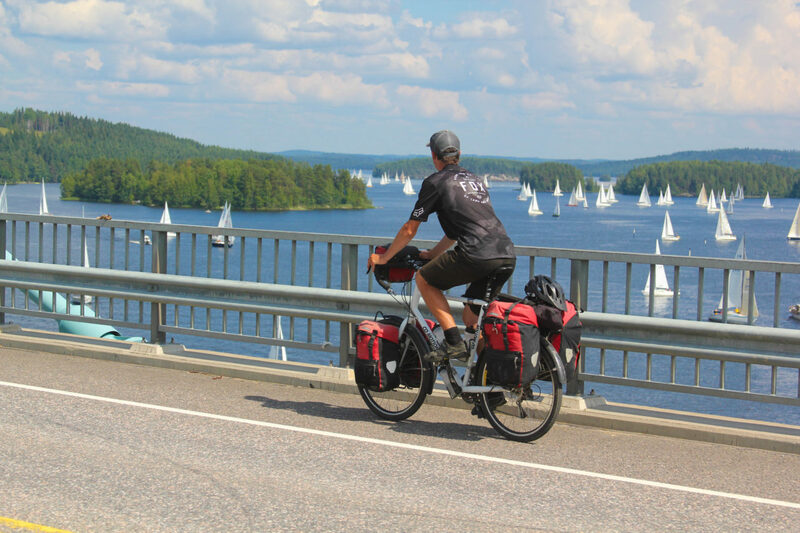 This entry was posted in Bicycle Touring Pro Articles, Featured How-To Articles, Panniers, Products, Shorts and tagged bicycle bags, bicycle briefcase, bicycle packpack, bicycle packs, bicycle pannier, bicycle travel packs, commuter backpack, commuter briefcase, commuter pannier, lone peak packs, pannier review.